Rohan Pasricha – Freelance writer, editor, and consultant for all things content. Certified counsellor and personal life coach. Freelance writer, editor, and consultant for all things content. Certified counsellor and personal life coach. I consult for start-ups, corporates, and individuals – on everything that involves the written word. I am a graduate of the Xavier Institute of Communications (XIC), ranking third in my batch. I’ve worked for some of the top brands in my career spanning 9 years, which include Haymarket, PwC, British Council, and Housing.com. Currently, I serve as the Chief Content Officer for Inkling Asia, a niche content agency based in Singapore that services brands such as HomeAway, BankBazaar, and Luxury Escapes. My strength is writing in a simple, elegant manner that gets the point across effortlessly instead of the usual, verbose style seen in most copy today. My website showcases a mix of my personal and professional work, designed to give a complete idea of my writing range. 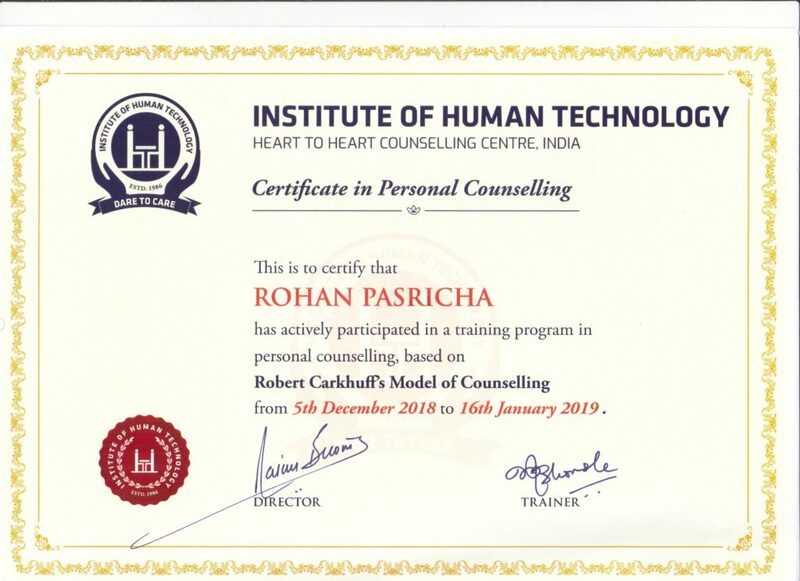 I am also a certified counsellor, extensively trained in the Robert Carkhuff model of counselling. Please contact me on rohanpasricha@gmail.com or +919820435757 if you’d like to explore an opportunity to work together. For counselling appointments, call or WhatsApp on the same number.